The FITswindon Foundation & mikebussPT Ltd believes that diversity is a positive asset and values the contribution made by all members of society. 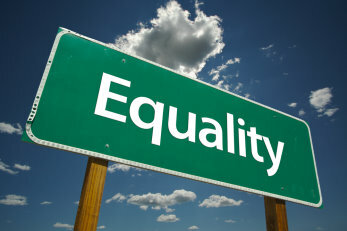 The FITswindon Foundation & mikebussPT Ltd are committed to the principles and practices that support Equal Opportunities. We will endeavor to implement all aspects of this a policy in our work and the way we operate. The FITswindon Foundation & mikebussPT Ltd recognises that our policies and practice will have a direct impact on the individuals, communities and organisations that we work with. We will try to tackle any discrimination as it arises and work in a way that will provide a positive example to those with whom we work. 1.1 We will ensure that our equal opportunities policy is reflected in our approach to project work and we will recognise and respond to issues of equal opportunities as and when they arise. 1.2 We will make every effort in our work to involve and engage under-represented groups and to ensure that their needs are taken into account. 1.3 We will endeavor to build good equal opportunities practice into all our training, networking and outreach activities. 1.4 We will aim to provide support and training to ensure all members and volunteers are aware of discrimination and are able to deal with this effectively. 1.5 All those involved in The FITswindon Foundation & mikebussPT Ltd will be committed to taking positive steps through their day-to-day work to make these equal opportunities effective.